a. Slip over compression connector (6). b. Shrink in place using heat gun. 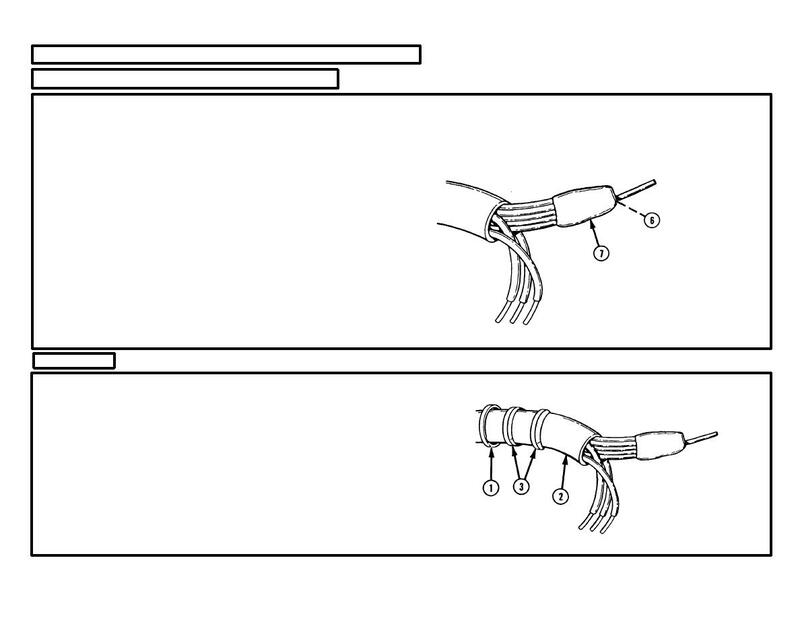 Steps 1 thru 17 pertain to assembly of the plug connector. CLAMPING NUT (1). Install on cable (2). Cable seal bushings must fit snugly on cable (2). TWO CABLE SEAL BUSHINGS (3). Install on cable (2).